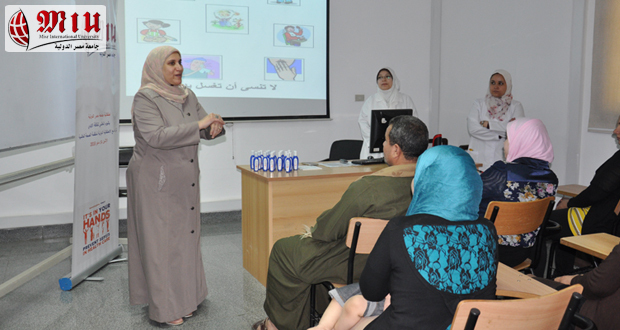 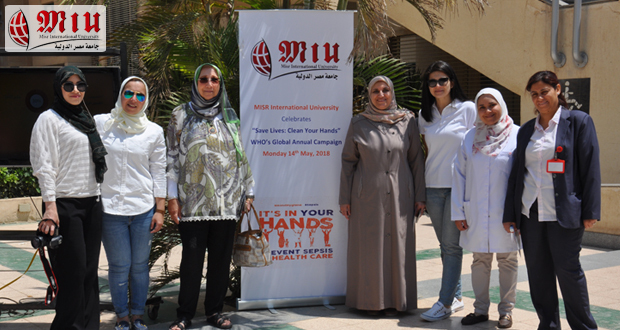 In celebration of WHO’s Global Annual Campaign for hand hygiene, the MIU Community Service and Environmental Affairs sector in collaboration with the Infection Control Department at the Faculty of Oral and Dental Medicine – MIU, organized Hand Hygiene Awareness Campaign on Monday the 14th of May 2018. 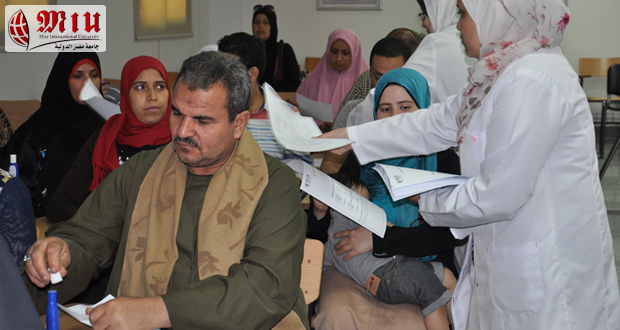 The target audience was the University staff, administrators, personnel, students as well as patients of the MIU Dental Clinics. 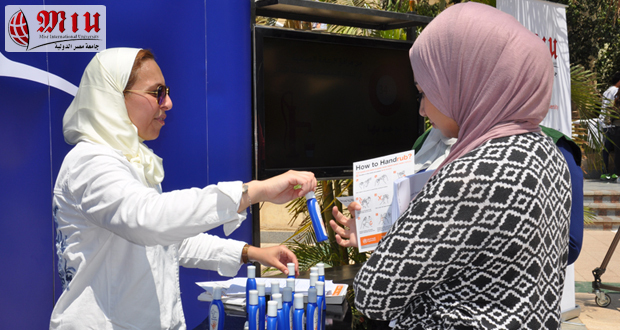 The campaign included lectures, PowerPoint presentations, videos as well as distribution of educational materials and hand sanitizers. 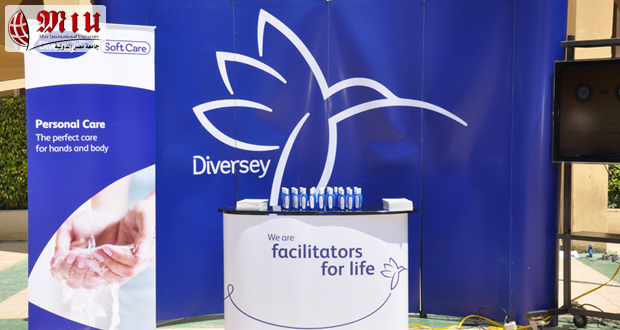 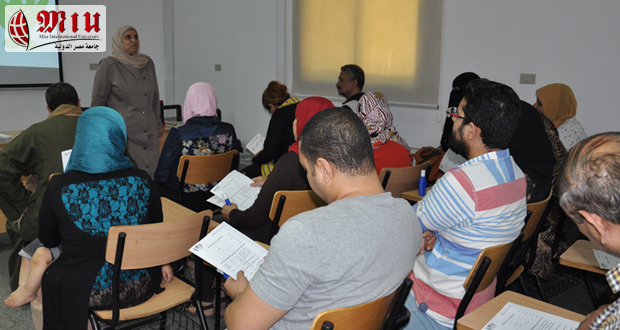 The campaign was held in two venues: Dental Clinics Complex Seminar room for patients’ awareness sessions, and on-campus Diversey-sponsored booth for all University personnel. 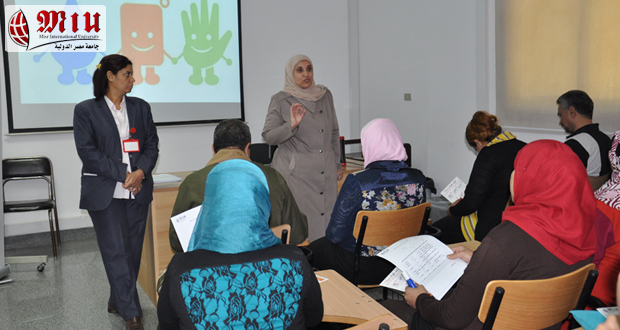 It was rated excellent by 80%, very good by 16% and good by 4% of the attendees. 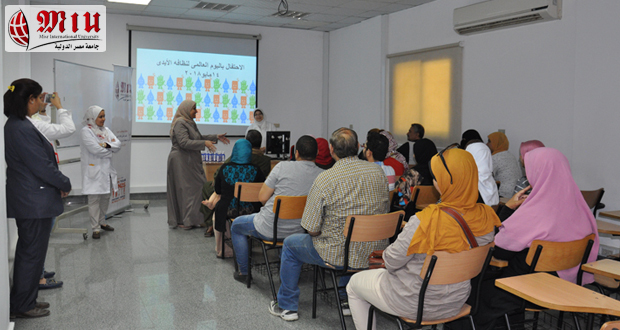 The recommendations included launching more campaigns, providing more educational materials and conducting the campaign outside the university.